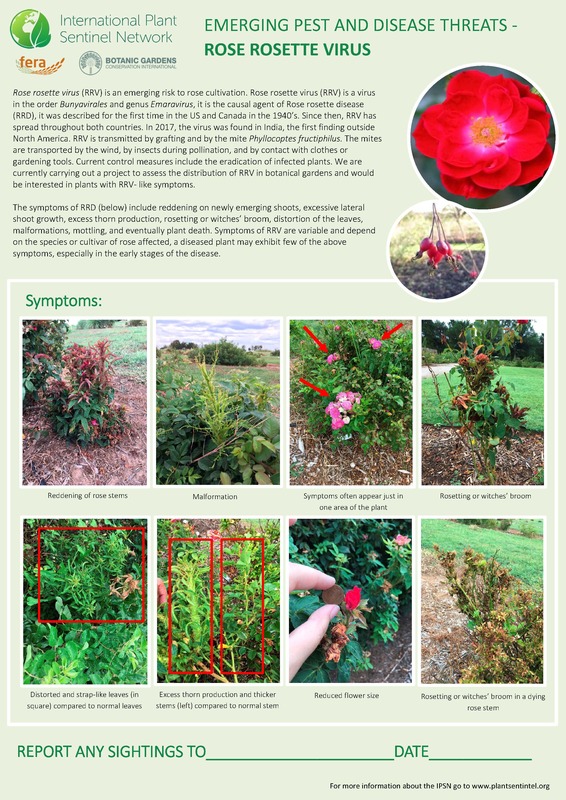 The IPSN is carrying out a research project to assess the distribution of Rose Rosette Virus in Botanic Gardens. 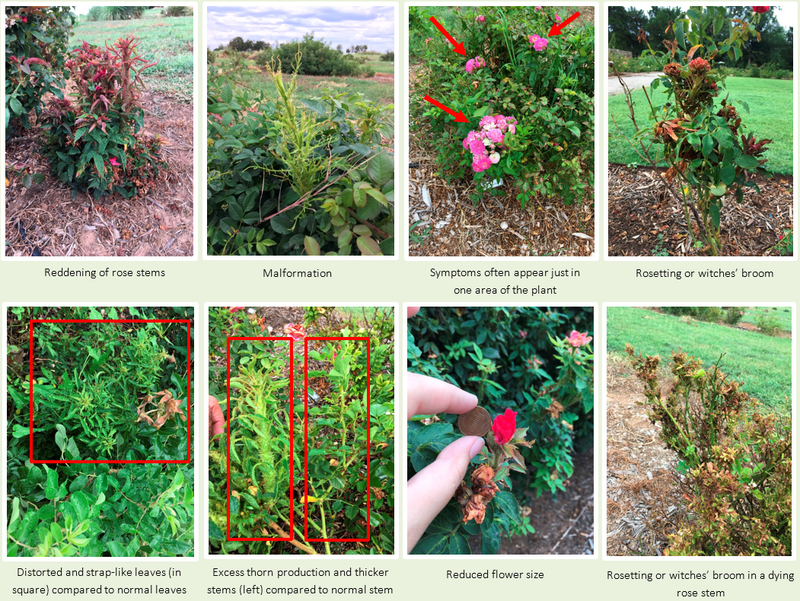 The IPSN is presently carrying out a research project in collaboration with the UK’s Food and Environment Research Agency (Fera) to assess the distribution of Rose Rosette Virus in botanic gardens and we are asking gardens to survey their Rose collections for symptoms of this disease. Rose rosette virus (RRV) is an emerging risk to rose cultivation. RRV is a virus in the order Bunyavirales and genus Emaravirus, it is the causal agent of Rose rosette disease (RRD), it was described for the first time in the US and Canada in the 1940’s. Since then, RRV has spread throughout both countries. In 2017, the virus was found in India, the first finding outside North America. RRV is transmitted by grafting and by the mite Phyllocoptes fructiphilus. The mites are transported by the wind, by insects during pollination, and by contact with clothes or gardening tools. Current control measures include the eradication of infected plants. See below for images of the symptoms of RRV. Please click here for a poster with more information on RRV which you may like to display in your gardens to increase awareness among staff and the public.